The Captain and Tennille’s version, slightly faster and more elaborately produced than the original, topped the charts in the summer of 1975 and honored Sedaka’s authorship when Tennille sang “Sedaka’s back” at the close. “Love Will Keep Us Together” won a Grammy for record of the year and not only made the Captain and Tennille stars, but helped further revive Sedaka’s career. In October 1975, his single “Bad Blood” hit No. 1. 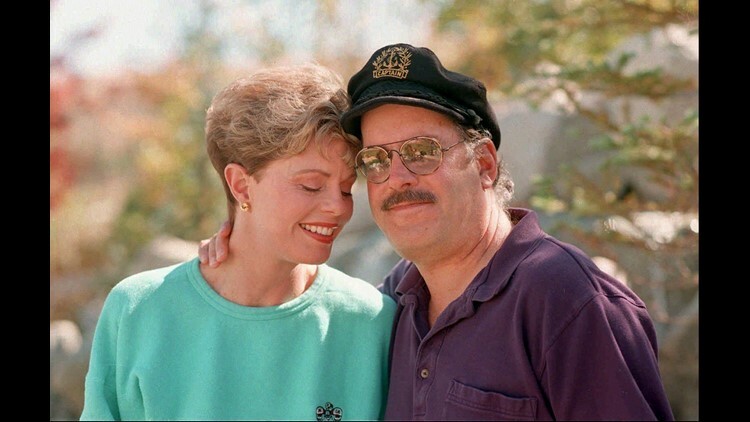 Meanwhile, the Captain and Tennille followed with a mix of covers such as “Muskrat Love” and “Shop Around” and original songs, including Tennille’s ballad “Do That to Me One More Time,” which hit No. 1 in 1980. They also briefly starred in their own television variety show before their careers faded in the 1980s. A Los Angeles native, Dragon was the son of Oscar-winning composer Carmen Dragon and singer Eloise Dragon and was himself a classically trained musician. Before he was with Tennille, he played keyboards for the Beach Boys and was dubbed “The Captain” by singer Mike Love, who noted Dragon’s fondness for sea captain’s caps. In 2016, Tennille published “Toni Tennille: A Memoir,” which presented their marriage as far removed from their cheerful hits. They wed in 1974, but Tennille recalled that their marriage was announced in advance — and to their surprise — by the record company. The couple, which had been living together, made it official in November of that year.